If you look take closer about Indonesian habits in the public places, you may see that most of them are working with their smart phones. Typing message, chatting, or just holding their gadget are typical habit of people nowadays. One of popular smart phone in Indonesia is Blackberry which still dominate smart phone users though Android and Apple phones are more popular in the foreign country. There are many opinions among Indonesian netizens how bad this phone gives negative effect to the users in social life. You won't surprise if I tell you most of the users tend to ignore the people around them when using the phone. Besides this phone is also regarded as trendy gadget for teenagers who want to be exists among their friends. At first, Blackberry was designed for business purposes, but here it has became a trendy symbol, you are out-dated if you don't use this out-dated device. The only thing that people hope from this device is messenger apps which so limited around the users only. I saw on the social life effect side and that's so true if you would experience same thing like me. My reason to have this device is just for business purposes only. 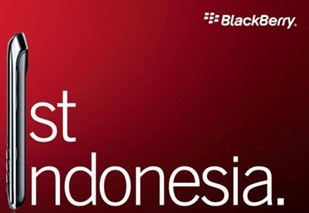 Indonesia is blackberry nation, not only in the association, but in other aspect including business. Best Quote: We live in the smart phone era with dumb people. My Quote: I don't hope so.